Astronaut Robert Thirsk touches down in Tofino, British Columbia. Editor’s Note: When we first met Robert Thirsk, he commented that while he was travelling in space he was struck — like so many astronauts before him — by our planet’s astonishing beauty. He was especially moved by views of Canada’s West Coast, which he describes as distinctly dynamic and colourful when seen from the International Space Station. Thirsk’s unique frame of reference intrigued us, so we recruited him to explore the extraordinary coastal region further, only this time around with his feet planted firmly on the ground in Tofino, B.C. 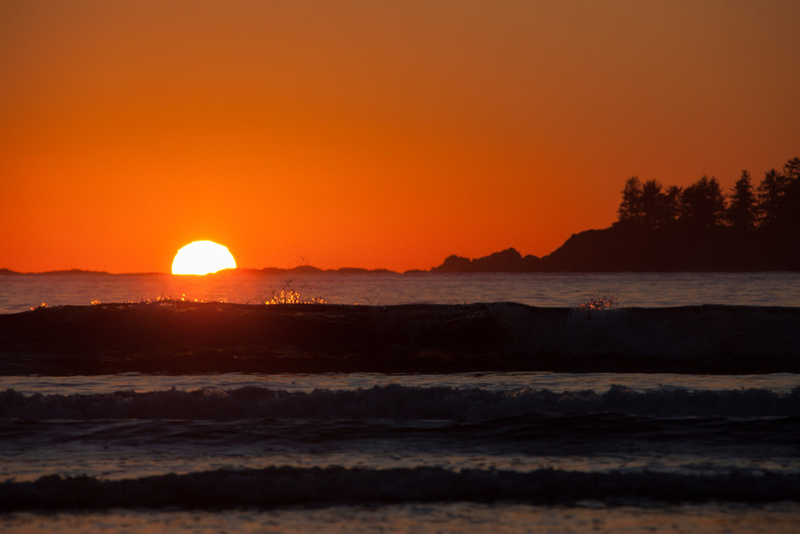 By Robert Thirsk / Tofino, B.C. 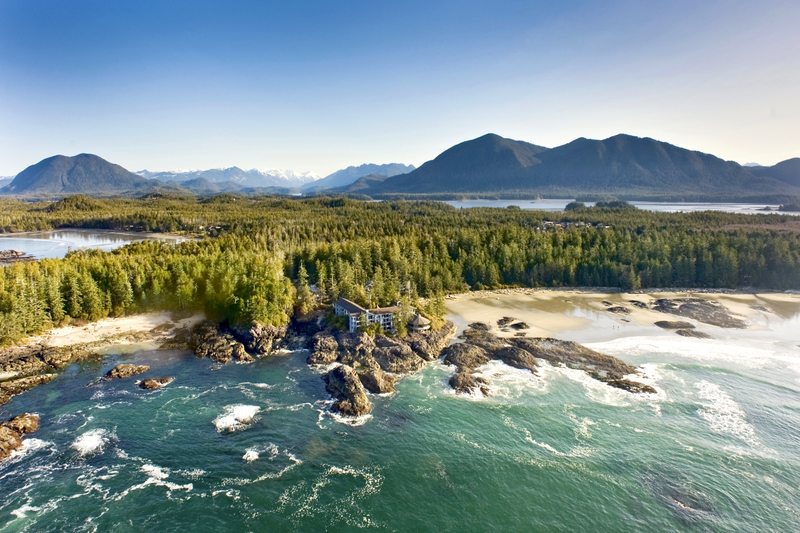 There can be no other arrival in the world as scenic as the approach to the Tofino-Long Beach Airport on Vancouver Island’s west coast. To the left, the churn of the open, emerald-green Pacific Ocean. To the right, vast and inviting expanses of beach strewn with driftwood. Straight ahead, clusters of rocky islands born beneath the sea. Looking out our aircraft window, my wife Brenda and I find ourselves recalling earlier trips that we made to this part of Canada when our children were young. During sunny, summer months, the environment here is ideal for young families looking to explore forest trails, romp in the sand and spot the spray of passing whales. Since my last spaceflight aboard the International Space Station in 2009, Brenda has been lobbying me to return to this exceptional corner of Canada during storm watching season, which takes place November through February. As an astronaut, I developed huge respect for the power and enormity of storms and other awe-inspiring natural forces. No wonder Indigenous peoples of the Pacific Northwest once believed in a mythical Thunderbird that could shoot lightning from its fearsome eyes and generate thunder by flapping its wings. Wherever the powerful bird flew, it was said, torrential rainfalls would follow in its wake. I often imagined the International Space Station as a giant thunderbird soaring silently through the vacuum of space. On outstretched solar wings, the Station, like the legendary thunderbird, surveys its planetary realm from on high. From my orbital perch, where we would lap Earth 16 times a day, it seemed there was always one region of the world being pummelled by a thunderstorm. 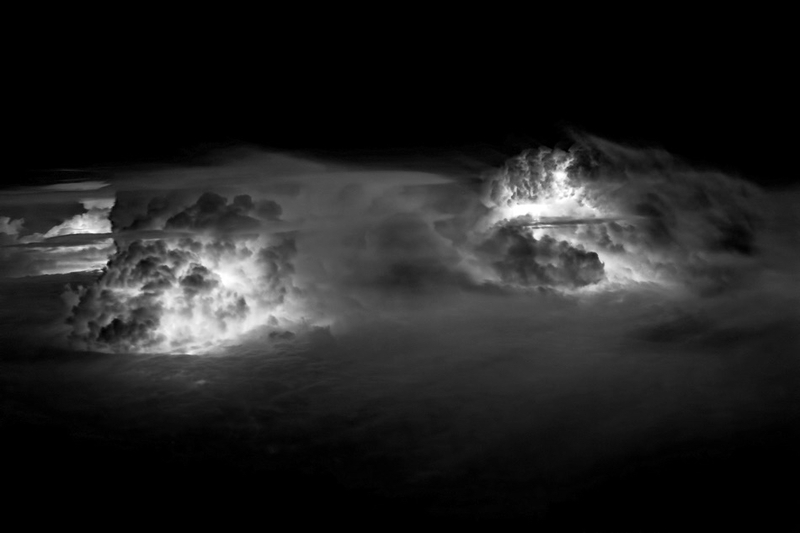 Bolts of lightning would explode from electrically charged clouds before striking Earth, creating chaotic bursts of light that jumped like popcorn in the atmosphere below us. While I could observe storm activity from space, I would also learn what it feels like to be isolated from nature. 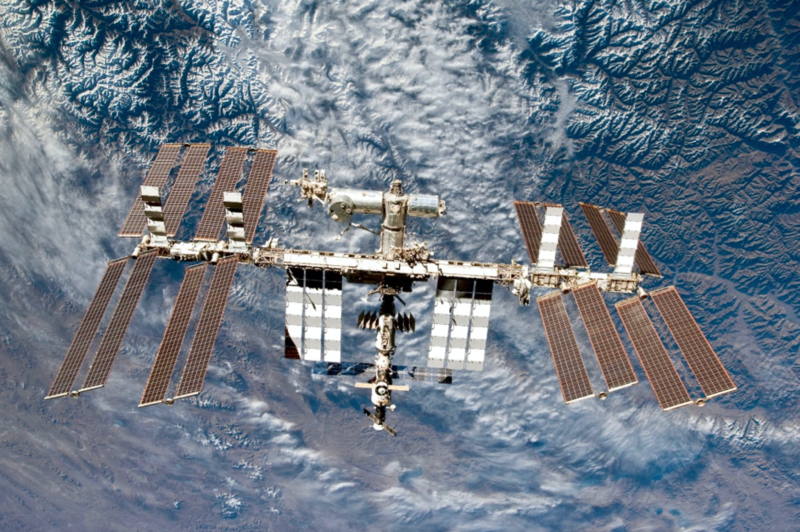 The space station, as miraculous as it is, was designed to be a functional laboratory. The grey walls of our spaceship are covered with stowage bags and crisscrossed by hoses, cables and air ducts. Next to family, what I missed most during my expedition away was interacting with Earth — its lands, oceans, lakes, flora and fauna. Some of my most profound moments in space involved viewing my home planet through the Station’s windows. Deserts appear in a hundred textures and shades of colour. Ocean reefs, erupting volcanoes and mountain ranges are mesmerizing. Earth is beautiful and from space, Canada’s West Coast is especially colourful and dynamic. Whenever we approached this part of the world, I would grab a camera and fly, Superman-style, over to a window to take it all in. Explosions of phytoplankton blooms brighten and tint blue waters. Temperate rainforests embody a singular, green richness (Emily Carr got it right!). 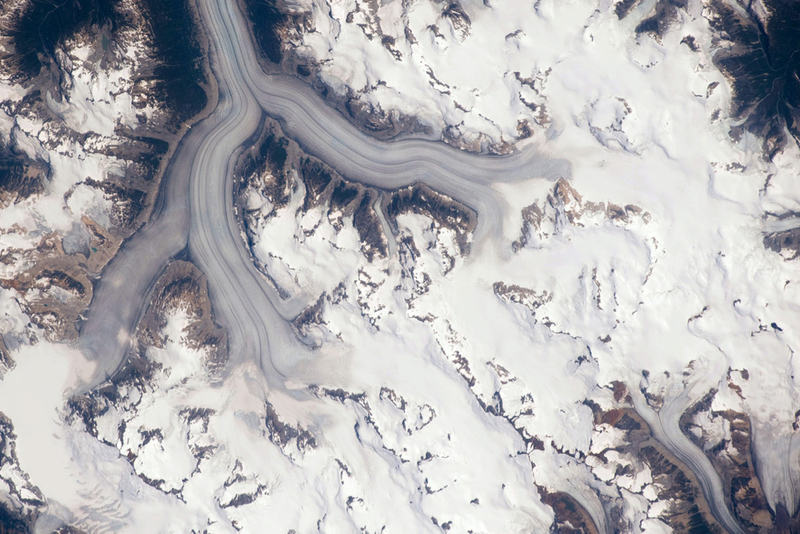 Massive ice fields wend slowly down the Coast Mountains, carving out wide valleys in their wakes. Our aircraft’s wheels hit the Tofino tarmac and, with a startling thud, jolt my thoughts of space travel back into the moment. On the ground, Brenda and I are greeted warmly by Charles McDiarmid, managing director of the Wickanninish Inn, and escorted back to our temporary home for the days ahead. As soon as we unpack, we race like kids down to nearby Chesterman Beach to enjoy the day’s last hour of sunlight. Endless, grey-green waves roll peacefully towards us. We inhale the invigorating ocean air and we welcome the fine, salty spray that mists our faces. 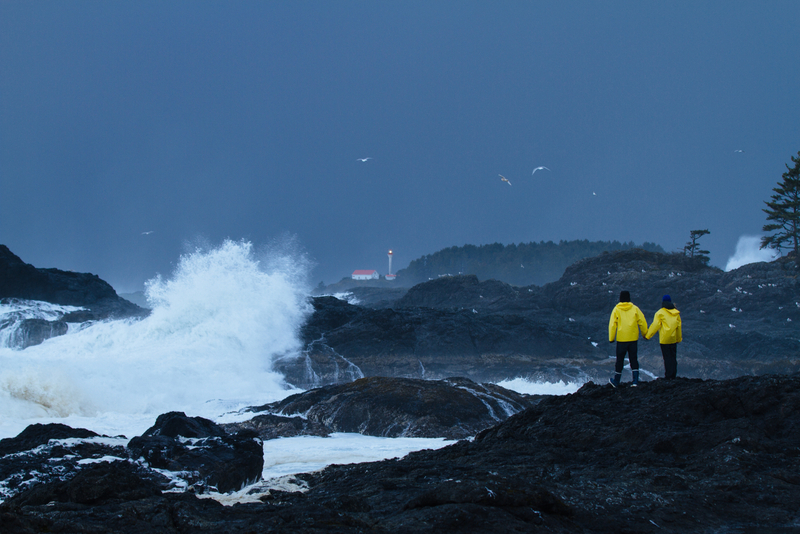 Whatever the weather, Vancouver Island’s West Coast offers up a glorious feast for the senses. A sudden gust of wind blows in from the sea. Foggy mist rises off wet sand. An eagle cries and circles overhead. Here, on the ground, I’m constantly reminded how far this world is from the programmed life aboard an austere spacecraft. West Coast sunsets are relaxed, their palettes transitioning slowly from one colour to the next, unlike in orbit where the sun sets in a flash of brilliance. Here, the late-day sun lingers in the sky. Our accommodations are part of this sensory feast. The Wick, as the locals call the inn, was recently named top resort in Canada in Condé Nast Traveler’s 2018 Reader’s Choice Awards. The vision for this rustically elegant property originated with the late Howard McDiarmid (Charles’s father), who moved to Tofino in 1955 to serve as a country doctor. He loved the region’s natural beauty and was devoted to the establishment of Pacific Rim National Park Reserve. 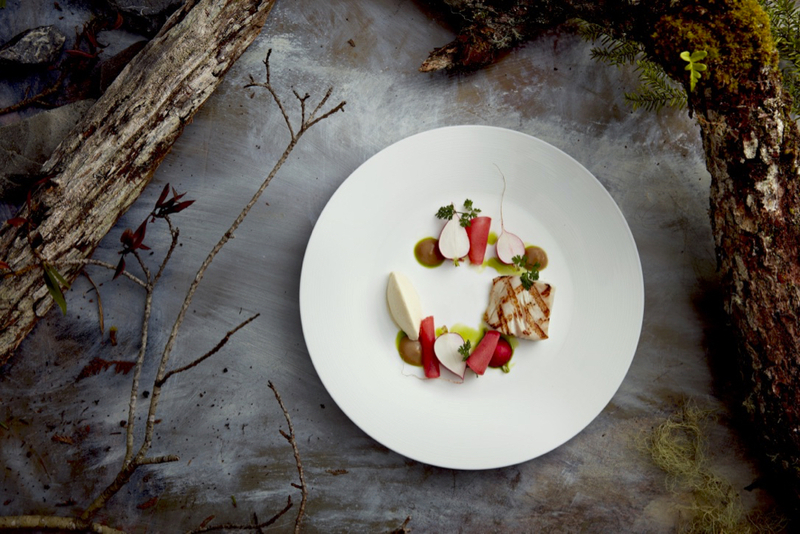 The McDiarmid family opened the Wickaninnish Inn in 1996, with the desire to connect its guests to art, culture and nature. Aside from our comfortable ocean view room, my wife and I enjoy the inn’s flagship restaurant, The Pointe, where, over dinner, I find myself chatting with staff about what astronauts eat in space. Since there is no fridge on the International Space Station, all menu items require a long shelf-life. At meal time, we inject warm water into packages of freeze-dried food, wait a few minutes for the water to be absorbed and then carefully open the packages. As we eat, we use our spoons to re-capture any food bits that float away. After months in space, a package of rehydrated beef stroganoff doesn’t taste much different than a package of turkey tetrazzini — a stark contrast to the culinary experience here at The Pointe, where we enjoy delicious grilled oysters, truffle-glazed sablefish and roasted duck breast. As we adventure around Tofino, we learn about locals like Cougar Annie, Oyster Jim and Feather George, an artisan who works in a carving shed just down the beach from where we’re staying. 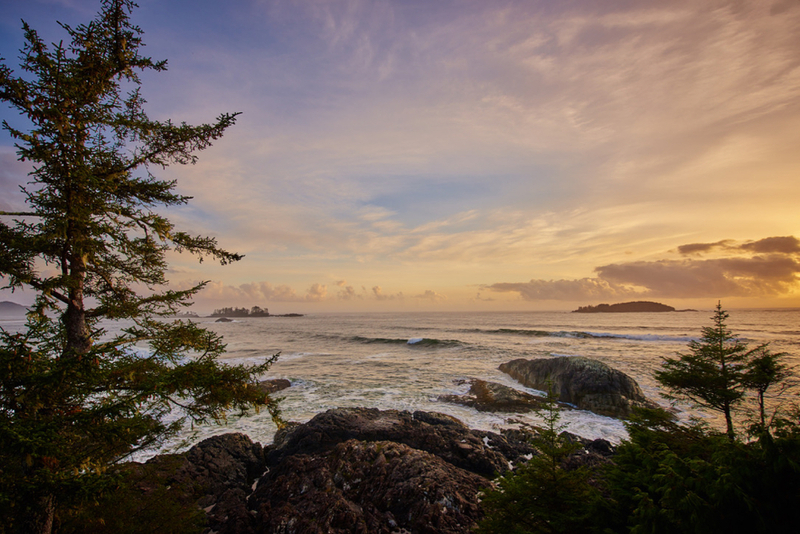 We also visit my cousin in nearby Ucluelet, and together we hike the Wild Pacific Trail, which cuts through old-growth forest along a rugged coastline with intermittent glimpses of breath-catching ocean vistas. Later in the week, Brenda and I explore a rainforest trail near The Wick with Long Beach Nature Tours. The towering spruce, hemlock and cedar trees form a dense canopy over our heads and we feel like we’re walking through an ancient, sacred sanctuary. 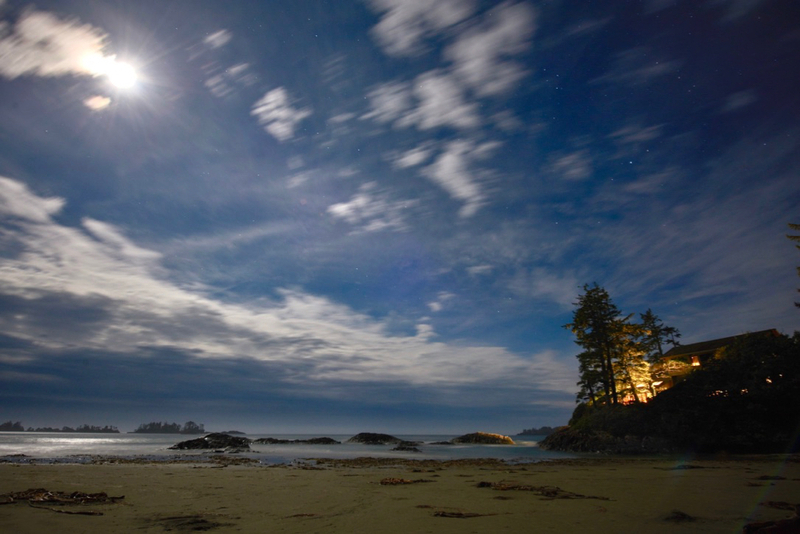 During my time in Tofino, I sense this spirit of integrated wholeness everywhere I turn. During extended missions in space, astronauts can lose connection with Earth. There’s a need following flight to re-acclimate to the affairs of nature and culture, to the warm embrace of loved ones, to the rhythms of daily life. The west coast of Vancouver Island, I’m convinced, is the perfect place to recalibrate not only one’s senses, but also one’s emotional well-being. Future astronauts would benefit if their post-flight rehabilitation program included recovery time here. Of course, I’m aware of a Dutch company that’s recruiting colonists for the first, one-way mission to Mars. While I believe humanity is destined to migrate to other planets and star systems, I couldn’t spend the rest of my life in space. I’m too connected to my family and to my home planet. As fate would have it, no storms came our way in Tofino. Not this time. The mighty thunderbird must have been instigating meteorological havoc elsewhere in the world. No matter. We know we’ll touch down in this coastal paradise again, travellers in search of its earthly delights. Note to reader: Robert Thirsk’s trip was supported by Destination British Columbia. Our partners in tourism did not review or edit this story before publication. Many thanks to the Wickaninnish Inn, Wolf in the Fog, Shelter Restaurant, Wildside Grill and Wickanninish Community School for their part in welcoming Astronaut Thirsk to Tofino. Founded by two Canucks on the loose in a big country, Toque & Canoe is a blog about Canadian travel culture. Follow us on Twitter, Instagram and Facebook. Your Uncle John says that is quite a story! He also says you and Brenda have also probably been on a lot of trips since your time in Space. We had a wonderful time at the Shuswap this year until Nov.17.Lots of storms and double rainbows! I’m delighted to have discovered this article by Robert and to know that he and his wife loved their Long Beach experience. I lived on Vancouver Island for over sixteen years before moving back to a suburb of Vancouver on the Lower Mainland. The west coast is comprised of many unique and beautiful places, but the ocean has a special draw for me. There is nothing quite like a solitary walk on a windy, wave-splashed beach to nurture one’s spirit. What a treat to see that photo! I had long ago misplaced my copy. Thank you for sharing it and sparking lots of great memories. I was googling info on the book Canadian Failures: Stories of Building Toward Success, which has a chapter by Robert, and the article came up as ‘related’. I’m glad I followed the link. Hello, Robert. ‘Quintessential’ has to be an exaggeration, but I’m glad you have such good memories of our classroom. I do, too. I loved sharing the excitement of ‘my’ children’s learning experience. Two of my sons and I backpacked the West Coast Trail twenty years ago. Those five days were epic and have left a lasting impression on us. Reading your article brought back many memories. Thanks for sharing your love of nature and beauty.